Albasia is a tree that many people planted in various areas within the forest area. It is currently estimated that the albasia plantation area is more than 1 hectare in Indonesia. 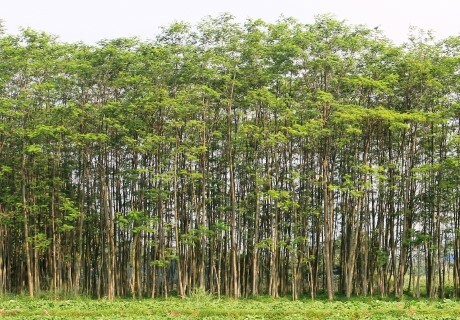 Wood is the main product of the albasia plantation. The wood is processed into various products of logs, wood boards, plywood, barecore, to pallet. Albasia wood is softwood and produced from the harvest timber of the plantation is at the age of trees approximately 5 years. The centers of albasia plantations in Indonesia are centered on the island of Java and Kalimantan. 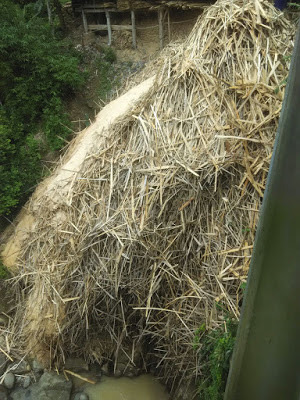 Waste from the albasia wood processing are sawdust, pieces of wood, bark and wood shavings. There are still many untapped waste and pollute the environment. 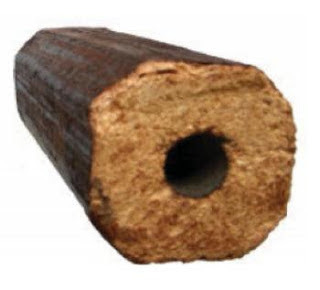 The production of wood pellets and wood briquette with these raw materials will overcome environmental problems, move the economic sector from waste treatment or especially bioeconomy which is predicted to be a trend in the not too distant future. The simplest wood processing industry of albasia is sawmill which is the most number of processing compared with the industries downstream. 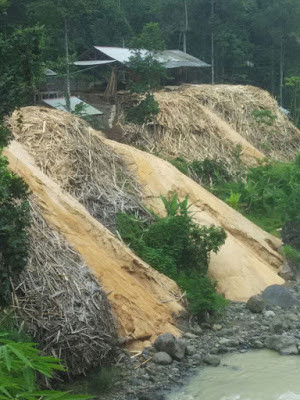 Each sawmill on average produces waste of sawdust 3 m3 / day (600 kg / day) so that for 10 saw mills will produces 6 tons / day of sawdust with an average moisture content of 30%. The production of briquettes and pellets from wood waste is much in common, because basically the same technology that is biomass compaction (biomass densification). Differences from the production of briquettes and pellets only at the end process namely compactor or the press machine. In the industrial production of pellets will produce the same form that is in the form of cylinder, only the diameter is different and there is no difference pelletisation technology. Ring die pellet press is a pelletiser commonly used for biomass pelletisation in industry especially made from woody biomass raw material. 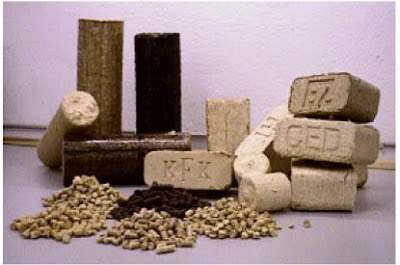 While on briquettes, in addition to different sizes, the shape of the briquettes also vary. Briquettes generally also have a higher density than pellets, even more than a twice. Pellet has a density of about 650 kg / m3 while briquettes can reach 1400 kg / m3. The easiest way to distinguish briquettes with pellet that is from the physical size. Briquettes have larger size than pellets. 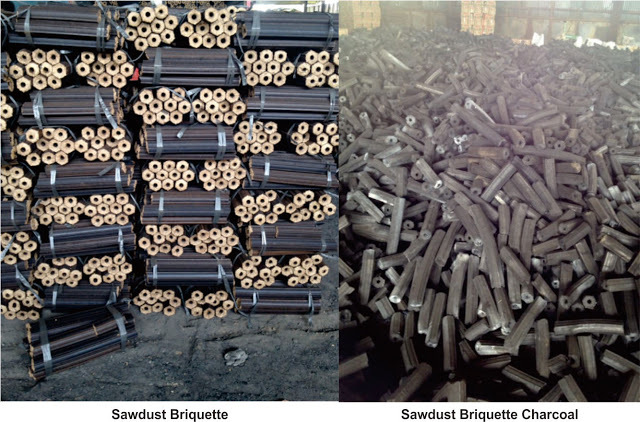 Generally, briquetting is also easier than pelleting process. Unlike the pellets that only use the roller press, briquette production using several kinds of technology namely, screw press, hydraulic and piston press. A brief review of the technology can be read here. Screw press technology has many advantages over hydraulic and piston press, such as screw press technology briquettes also have holes in the centre so as to facilitate combustion, and also easy for carbonisation. Screw press technology also produces briquettes continuously, unlike the hydraulic in batch operating. Another factor that also greatly affect the processing of albasia wood waste processing is, of course, investment or price equipment or production units. Pellet production units are generally more expensive than briquettes, even the briquette production unit is only about half the pellet production unit. This makes briquette entry barrier for production easier or smaller than pellet production. Even briquette screw press technology has been well mastered in Indonesia including up to carbonization process and has been operating for more than 25 years. Fabrication and spare parts of screw press briquette have also been completely mastered, so the processing of albasia wood waste is easier to implement immediately.